Mathew Rodriguez, from Quito, Ecuador is a freshman at Greenville University. He is a Business Management major and also a part of the GU men’s tennis team. Coming all the way from Ecuador to the United States was something that Rodriguez had been planning since he was twelve years old. The idea of coming into the United States first came from a couple of his friends that had already visited the United States before him. While living in Ecuador, Rodriguez was working with a company called College Prospects of America, which helped him create a profile about himself to get recruited by many different schools in the United States. After talking to multiple schools, Rodriguez eventually felt like Greenville University was the best option for him. Rodriguez awaiting a serve. Source: athletics.greenville.edu. An obstacle Rodriguez had to overcome in coming to America was being away from his home and his family. 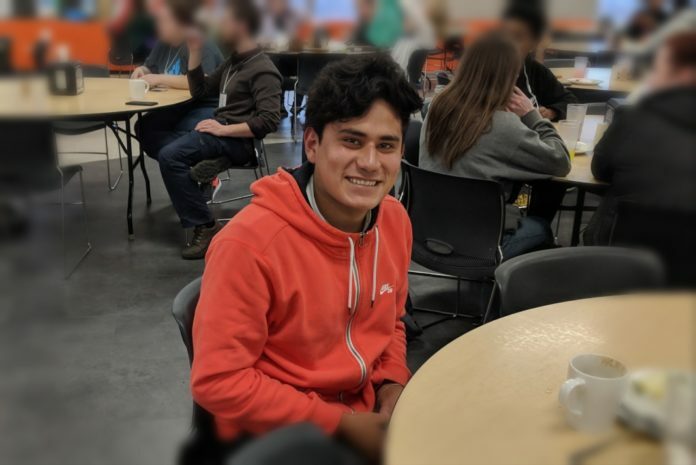 He stated, “When you don’t have your family and friends, it feels like you are starting a whole new life.” Coming to Greenville University, Rodriguez did not know anyone and often felt like he was alone, but things eventually got better as soon as he started to meet new people and tried to connect with the greater community at GU. Rodriguez has now made many strong relationships and friends who he never would have even had the opportunity to meet in his home in Ecuador. 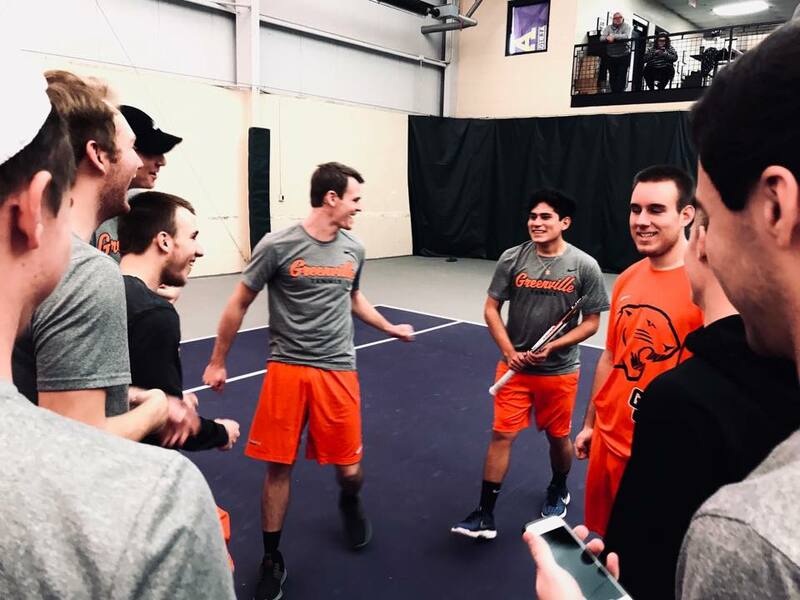 Being at Greenville University was something Rodriguez has had to adjust to because of the different lifestyle he lives compared to being back at home. When Rodriguez was playing tennis in Ecuador, he was primarily playing for himself, so joining the tennis team was something he had to adapt to from the fact that he’d never had teammates before. Rodriguez has been playing tennis ever since he was six years old and had the same coach from that time up until college. Now being coached by Brett Brannon, it was a challenge for Rodriguez because he needed time to get to know him. As the season went on, Rodriguez started to get to know his coach a lot more and now feels like he can fully trust Coach Brannon. Rodriguez laughing with his teammates. Source: facebook.com/greenvilleumenstennis. 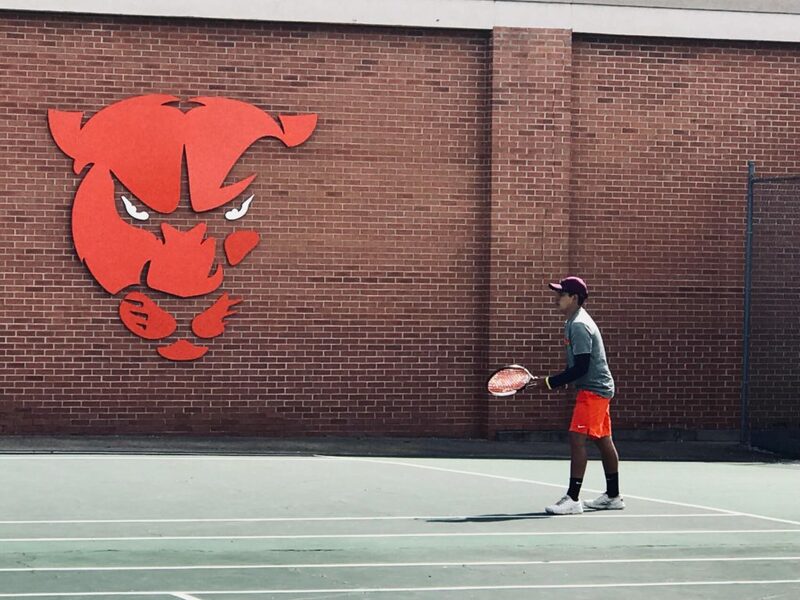 One of Rodriguez’ best memories from GU thus far happened during spring break at a tennis tournament in South Carolina when he lost his first singles match. After losing this match he was really down on himself, but his teammates were there to cheer him up after the loss. Realizing that he had teammates to support him after a tough loss like that was something special to him. It made him feel a part of something bigger than himself and that he had a new family that would be there for him when he felt alone. For the remainder of the season, Rodriguez plans to win the rest of his single matches, as he is currently 7-1. He also hopes to stay undefeated in doubles as he and his partner are 7-0. Rodriguez wants to get closer with his teammates and coaches in hopes of creating a team chemistry that will continue into the offseason. Previous articleGreenville Has An eSports Team? Hello! I'm Eric Kranh and I am a sports management major from Stockton, CA and I also play football here at Greenville University.